Hi! We’re the Gateway NMRA, and we love model railroading. Here you’ll find tips, tricks, techniques, and information on how to build your model railroad. 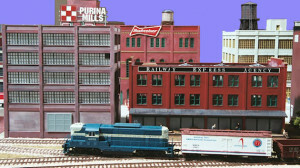 We’ll also share photos of great model railroads and the work of Greater St. Louis Area model railroaders. 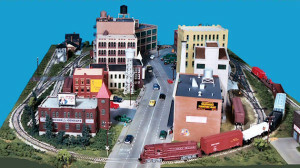 The Gateway Division NMRA is the greater Saint Louis area chapter of the National Model Railroad Association (NMRA), the world’s largest organization devoted to the development, promotion, and enjoyment of the hobby of model railroading. See hundreds of photos of beautiful St. Louis area model railroads. Learn from their owner's experiences and great results. The Gateway Division has built 15 small model train layouts for display at local train shows. Read how they were made and how to build your own small model railroad layout. 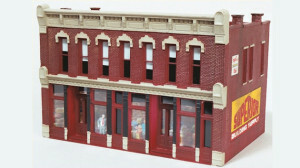 Download background buildings, road signs and details, building interiors, and business signs you can print and use on your model railroad. 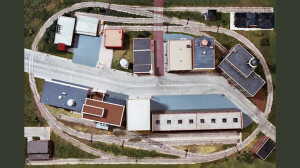 This 4x6-foot city layout offers great switching and train operation, while still providing a complete mainline loop for just running trains. 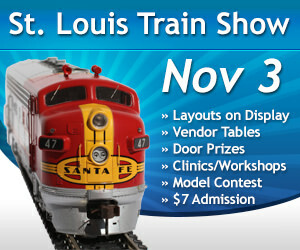 Don't miss our annual train show! 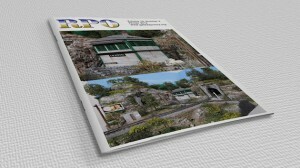 Read our quarterly newsletter, The RPO, edited and produced by John Carty. RPO backissues are always available online. Three of our project model railroads were designed to be only 4'x6' - the minimum size for an HO scale train layout with a continuous run loop of track. We have 31 photos of this small railroad layout you can build. Learn step-by-step how to easily prepare, assemble, paint, weather, and detail an inexpensive model building kit. The Gateway Central XII HO model railroad features a small river port with an oil terminal, grain elevator, dock and a lift bridge. View dozens of detailed photos. 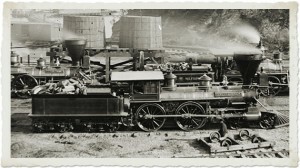 Prior to the Civil War in this country, railroads were a new and relatively untried invention. During the war, soldiers, material and food were routinely transported by rail along with civilians and the raw material necessary to keep the war effort progressing. This great 4x8-foot model railroad was built for the Missouri Historical Society for their Winter 2002-2003 exhibit. 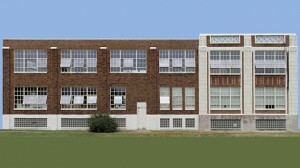 It's designed with the "look and feel" of 1950s-era St. Louis. See over a hundred photos and the track plan. 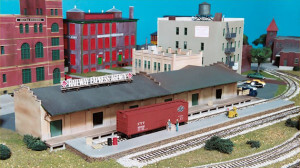 The public is invited to visit at any of our general monthly model railroading meetings. Information on upcoming meetings and events is available on our Division Meetings page. The membership of the NMRA is a diverse group of individuals unified by their love of model railroading. We represent a wide variety of interests and wish to improve and expand the hobby through mutual effort. Our local members are from St. Louis city and county, southern Illinois, and Jefferson and St. Charles counties in Missouri. The Gateway Division has members from all over the United States.